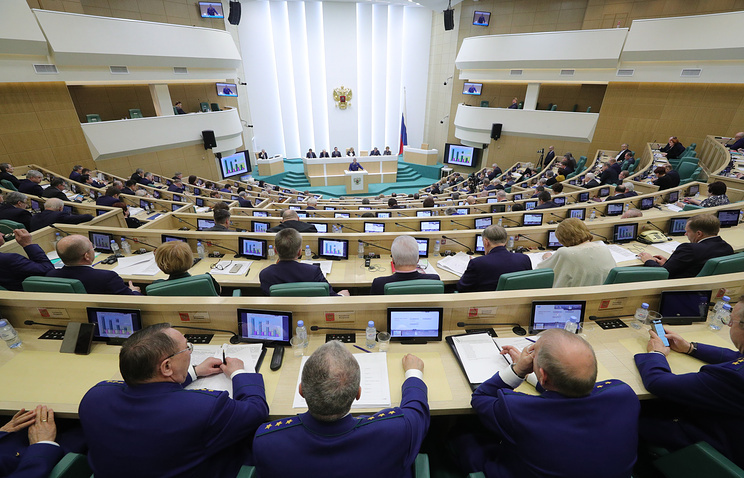 Several committees in the Federation Council, the upper house of the Russian parliament, have criticized the draft law on retaliatory measures against US sanctions hammered out by the lower house, the State Duma. RBC’s sources expect senators to put in mitigating amendments and pass the legislation shortly. Two Federation Council members told the newspaper that the final version of the amendments to the ‘anti-sanctions’ bill initiated by State Duma Speaker Vyacheslav Volodin and leaders of all parliamentary factions, will be "quite mild." The first reading of the bill is scheduled for May 15. One of interviewed senators suggested that the amendments proposed by the senators would be submitted prior to the State Duma reading, and that the Federation Council would support the law. Another source supported those expectations. A source in the upper house told RBC that its next plenary session after May 15 is scheduled for May 16. One of sources thinks that the bill will be adopted in three readings and the Federation Council may pass it into law on the same day. The bill submitted to the State Duma on April 13 lays out restrictions against the United States and its allies who slapped sanctions on Russian industries, and its legal and physical entities. It authorizes the government to levy bans on imports of farming products, software, tobacco, alcohol and certain types of pharmaceuticals. As of now, 9 out of 10 Federation Council committees have provided their opinions, RBC writes. Two reports are critical, though senators emphasized they welcome the very concept of the bill. Political analyst Mikhail Vinogradov believes that critical opinions demonstrate that the State Duma’s initiative is not a compromise. "It may be viewed by part of the establishment as low-rated, self-defeating and even frankly lobbying, whereas the Federation Council is trying to find out whether the bill has already been approved by the top leadership of the country," he said. Western countries, particularly the United States, have no respect for international law in relations between countries, only forcing their interests ahead instead, Advisor to Iranian Foreign Minister and former head of the Institute for Political & International Studies Seyed Mousavi said in an interview with Izvestia. "Under various pretexts the US and their western allies intervene in the affairs of other states, and regime change has become their official policy, though they label it ‘promoting democracy’," he pointed out. According to Mousavi, "Iran opposes political and economic pressure, just like Russia and other independent countries." "We cannot accept the fact that the US is trying to turn their domestic decisions into international law," he added. "Currently Iran and Russia have unique bilateral relations, though one cannot say that it is pressure that brings us closer. More likely, we think about regional development and ways to support and maintain international law. Also, the relationship between Iran and Russia has largely played a crucial role in the region, for example, the situation in Syria could have unfolded differently had it not been for Teheran-Moscow cooperation," Iran’s representative said. Asked whether Tehran could provide a military base for Russia, he acknowledged that the subject is rather challenging. "I believe the issue can be worked on under the definition of expanded military cooperation, and much can be done in this respect. Iran has always said that its strategy for cooperation with Russia is based on the ‘strong Russia, sovereign Iran’ principle, and everything is possible within this framework," Mousavi told Izvestia. He believes that Iran’s potential membership in the SCO (Shanghai Cooperation Organization) will add political weight to the organization due to the country’s potential and strategic position. 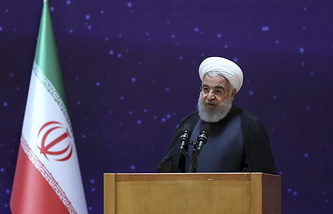 "This will facilitate the development of transport corridors, allow the organization to unfreeze key logistics projects put on hold in 2000s due to the economic isolation of Teheran, particularly the North-South international transport corridor, a trade route between India and Scandinavia through Iran and Russia," he said, adding that "Iran is an important link in the New Silk Road project." Russia’s machine-building enterprise Uralvagonzavod (UVZ), which is part of the state-owned hi-tech corporation Rostec, is not dogged by problems related to anti-Russia sanctions, Chief Executive Officer Alexander Potapov told Kommersant. When asked about the effect of the restrictions on the company, he said: "So far we have not felt any tangible problems." "Sanctions are keeping us on our toes, which I think motivates design efforts and facilitates the development of (our) own production as part of the import substitution program," he said. According to CEO, the company has not concluded any projects due to the sanctions. "One transport company has said it would not buy our products, unwilling to become subject to sanctions, but after discussing it, it wisened up, this is the way we work," he explained. UVZ adopted a new development strategy until 2025 not long ago. "The main parameters that (the strategy) is based on is revenue growth of around 10% annually to reach about 255 bln rubles ($4.1 bln) by 2025. 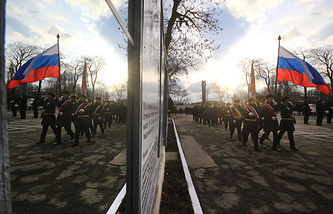 Obviously we have two key areas - executing defense procurement order and civil production," Potapov said. "The diversification program envisions a 50/50 ratio of civil and military production by 2030," he added. Speaking about global markets, the UVZ head said that a parity principle is envisaged for military products. "We should not lag behind our competitors or those who are willing to tap our traditional markets, for example, our western partners. This is an issue we should solve, for example, we have been replaced in former Warsaw Pact countries, which is not good and we should regain this niche. Not long ago I went to an African country to find out that Serbia is successfully working there, which disappointed me: why not us? I gave instructions and we are going to regain this area," he told Kommersant. "Today we can use important substitution and import independency mechanisms in implementing our domestic aims. Additionally, the international environment offers this position, we should definitely be actively developing and offering colleagues and strategic partners proposals they will not reject. Moreover, we don’t need to create a competitive environment and nor invite, tentatively speaking, the North Atlantic Alliance, to those market," Potapov noted. 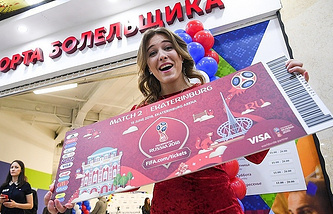 The groundwork and hosting of the 2018 FIFA World Cup will add one percent to Russia’s GDP in total, which amounts to around 820 bln rubles ($13.3 bln) for 2013-2018, Vedomosti says with reference to the preliminary research results by McKinsey. An additional 120 ($1.9 bln) to 180 bln rubles ($2.9 bln) may be added to GDP annually though using the built-up infrastructure and the surge in tourist flow within the next five years, the paper says. According to McKinsey’s presentative, Russia officially shelled out a total of 1.2 trillion rubles ($19.4 bln) on the FIFA World Cup’s preparatory works, mainly on the construction and improvement of sport and transport infrastructure. Tourism is expected to contribute to GDP growth starting 2018. This year, this sector of the economy may add 121 bln rubles ($1.9 bln) to the country’s gross domestic product, and another 40-70 bln rubles ($648 mln - $1.1 bln) within the next five years annually, according to McKinsey. The 2018 World Cup matches will be held between June 14 and July 15 at 12 stadiums located in the 11 cities nationwide. Russia selected 11 host cities to be the venues for the matches of the 2018 World Cup and they are Moscow, St. Petersburg, Sochi, Kazan, Saransk, Kaliningrad, Volgograd, Rostov-on-Don, Nizhny Novgorod, Yekaterinburg and Samara. Preparatory works have supported Mordovia and the Kaliningrad Region most of all, Vedomosti notes. Meanwhile, Alfa-Bank’s Chief Economist Natalia Orlova does not share McKinsey’s optimism. "It is suggested that we build infrastructure to back up tourist flows, similar ideas were expressed prior to the 2014 Sochi Olympic Games. However, judging by the balance of payments, the export of services amounted to $70 bln in 2013, with transport services and trips, meaning tourism, standing at $33 bln, whereas in 2017 they amounted to $58 bln and $29 bln, respectively. This shows that the overall economic policy is not aimed at further opening the economy, one cannot use new infrastructure. That is why it is not necessarily the case that 2018 FIFA (World Cup) will provide a substantial multiplicative effect," the expert explained. 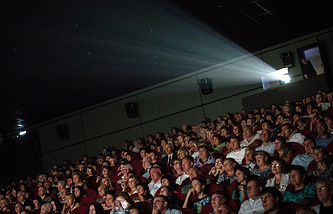 The world is interested in Russian movies now, Russia’s renowned film director and Director General of Moscow’s Mosfilm film studio Karen Shakhnazarov said in an interview with Izvestia, adding that the focus on Russia has partially contributed to this. "The fact that Russia is currently at the center of attention helps. On the one hand, the situation has its disadvantages, but on the other hand, there are advantages also in place. Everyone is interested, all eyes are on Russia," he told the paper. "This is how Soviet cinematography worked, because everybody had been interested in the Soviet Union, whereas in the 1990s you got the feeling that nobody cared about us,” Shakhnazarov said, adding that "the interest in a country is one of the reasons why people watch (its) movies." When comparing Russian and American movie industries, he said that one shouldn’t even try to "fight a battle with Americans on their field." "Probably in the future, but Russian cinema should be searching for its identity, which is a local problem. It should be searching for things traditional for our culture and which may be interesting to others. We should make our niche as was done by Soviet cinematography during its time," he said, adding that he said, adding that “very few films depicting the real life” of regular people are now made in Russia.